Landmark Solutions has been appointed by Capita Insurance Services to design, build and operate the advanced location-based database management and hosting services that Capita Insurance Services will use to fulfil its managing agency contract with Flood Re, providing affordable insurance for all UK homes at high risk of flooding. GCloud6 is now live on the Government Digital Marketplace. 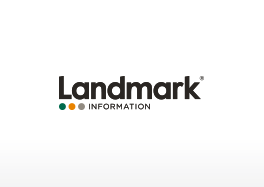 Check out Landmark’s GCloud services on our Frameworks page. Landmark’s GCloud Secure Cloud platform used to provide hosting for data tools used by Cefas EMECO: a European collaborative venture in the field of environment, fisheries and aquaculture science. Landmark’s GCloud Secure Cloud platform used to provide hosting for data tools used by Cefas EMECO: a European collaborative venture in the field of environment, fisheries and aquaculture science.